I know it almost sounds cliche to say I love chocolate, but it is true… chocolate is one of my great loves. 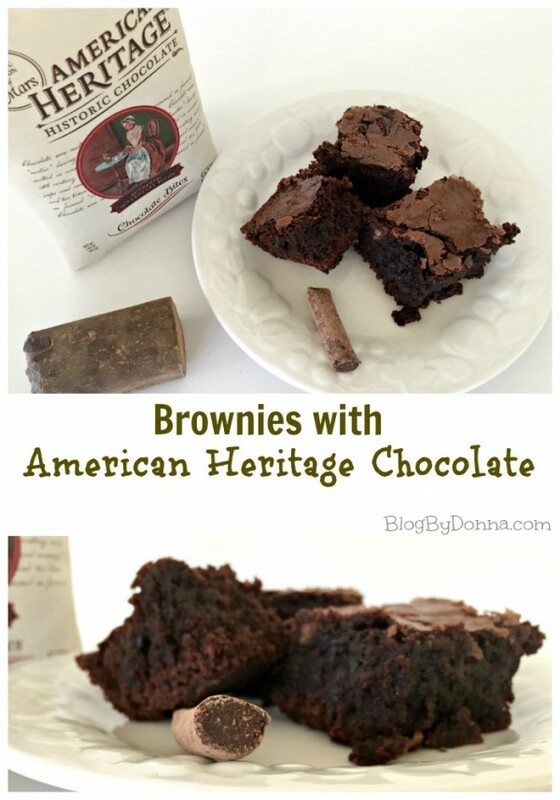 About two years ago I tried American Heritage Chocolate for the first time and fell in love with this decadent and spicy chocolate and have been using it in my brownie recipes ever since. Preheat oven to 350 degrees. Grease and flour 8×8 inch pan. In large bowl mix throughly, sugar, eggs, and vanilla. Melt American Heritage Chocolate Bites in the microwave at 30 second increments, stirring till melted. Mix in cocoa, melted chocolate, flour, salt, and baking powder. Spread batter into pan and bake for 25 – 30 minutes. Don’t over bake. Until recently if I wanted American Heritage Chocolate I’ve had to order it, so I was very excited to find out that I can now buy it at Cracker Barrel Old Country Stores. 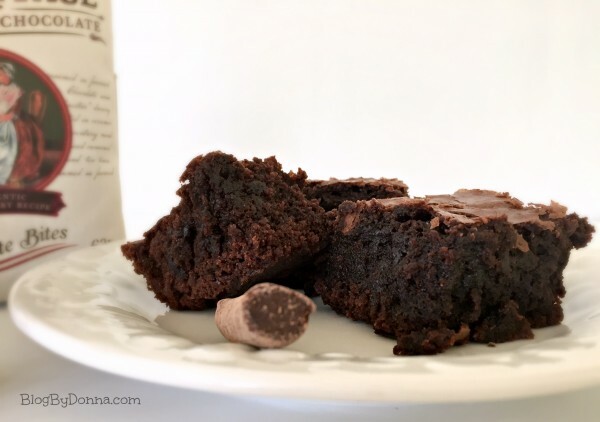 I love the Chocolate Bites, not only as an add in to my brownie recipe, but also as a snack, since they come individually wrapped in a keepsake muslin bag, perfect for giving as a gift, too. We live near a few Cracker Barrel restaurants that we frequent often, which will make picking up American Heritage Chocolate so convenient. You can find a Cracker Barrel Old Country Store location near you. Unfortunately, AMERICAN HERITAGE® Chocolate Bites are available for a limited time. 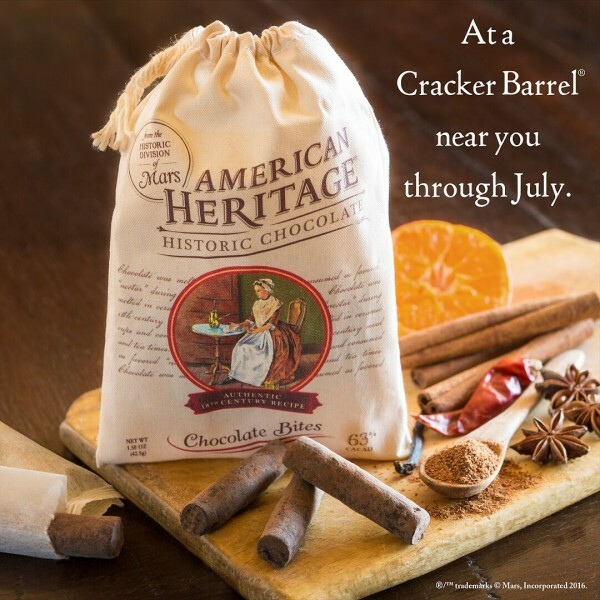 Be sure to experience chocolate as our ancestors did at one of Cracker Barrel’s 630 stores in 42 states, before supplies run out! Great news! 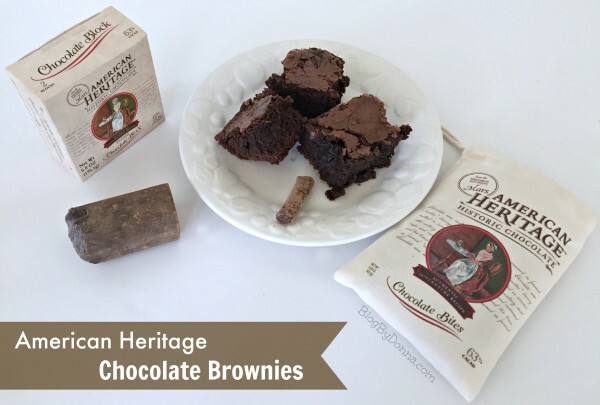 Enter to win one of five American Heritage Chocolate Prize Packs (ARV $109.95) Contest opens on April 8, 2016 and closes April 29, 2016. Good luck! Note: Influence Central will randomly select 5 winners from all program entries and will handle fulfillment of the winning prizes. These sound so good, thanks for sharing the recipe. I’ve never heard of this chocolate before. Thanks for the introduction.